This year marks the 50th anniversary of Ngũgĩ wa Thiong’o’s Weep Not, Child. 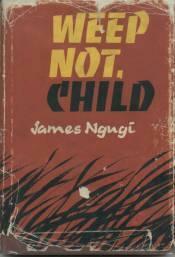 When the novel was originally published in 1964 by Heinemann’s African Writers Series, its author James Ngugi was a young Kenyan student at the University of Leeds. However, after his better-known third novel, A Grain of Wheat (1967), he changed his name to the non-Anglicised form by which we know him today, and from 1977 wrote all his subsequent works in Gikuyu. Weep Not, Child has been overshadowed by Ngugi’s subsequent novels, yet it was the first major English novel published by an East African. On its 50th anniversary, this early work is worth revisiting for its nuanced attempt to reconstitute subjecthood within the socio-political contexts of decolonisation. The novel interrogates the constrained cultural and political narratives imposed upon the decolonised self, first embracing then astutely questioning the use of violent resistance in times of nation-formation. The mid-century anticolonial upsurge saw numerous independence successes precede Kenya’s (1963), including Ghana’s (1957), Nigeria’s (1960) and India’s (1945), which were accompanied by a literature identifying itself with the broad movement of resistance to, and transformation of, colonial societies. Weep Not, Child (1964) merits re-engagement both as a part of this literature, and for the far-sighted questions it asks within the broader historical context of decolonisation. Particularly attentive to the function and limits of violence in the early, pre-independence decolonisation movement, the novel contains the seeds of a strong conviction that decolonisation must involve thinking about the nature of the self as well as nationhood. Weep Not, Child makes no claims to resolution – indeed, the ambiguous ending suggests art cannot resolve the material contradictions of reality – but art can make the contradictions of decolonisation apparent. Although 50 years on, what we find in Ngũgĩ’s novel is a still-familiar frustration with polarising antagonisms, as well as an attempt to imagine what decolonised selves could be, and how they could live. 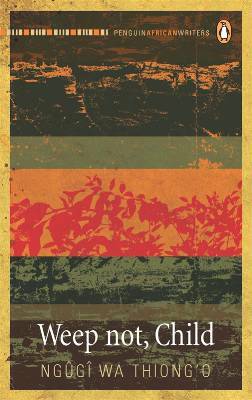 Writing in the early 1960s out of a newly independent Kenya emerging from the Emergency years of violent conflict (1952-1959), Weep Not, Child is a kind of bildungsroman and therefore necessarily concerned with the formation of the self. Yet loss of Kikuyu ancestral land, the colonial education system, the violent Mau Mau uprising and retaliation of the colonial government form the rich background to this novel; a novel that eventually takes us to the limits of anticolonial violence as a political response. Ngotho and his family in Weep Not, Child are ahoi, landless tenants working the land of their ancestors for the landowner Jacobo, a native in turn made rich by the white settler, Howlands. For Ngotho, working this land for little compensation cannot dull the sense of continuity it gives him: “Ngotho felt responsible for whatever happened to this land. He owed it to the land, the living and unborn of his line, to keep guard over this shamba” (31). In linking Ngotho’s ancestral land ownership to the Kikuyu creation myth of Gikonyo and Mumbi, Ngũgĩ deploys an important anticolonial nationalist discourse by marking the concept of national land as culturally – and spiritually – derived. If decolonisation is to proceed beyond constitutional independence, then reclamation of geographical place can start the reworking of a fragmented history. Thus, in Weep Not, Child, anticolonial violence done in the name of land reclamation carries the additional function of rebuilding cultural identity: it is an act of reaffirming belonging. Through depicting anticolonial violence as fundamentally but ambivalently linked to early decolonisation, Weep Not, Child acknowledges the possibility that the Mau Mau freedom fight was the only political response left. The character of Boro, Ngotho’s eldest son, joins the Mau Mau as he grows increasingly frustrated with his father’s acceptance of their dispossession. Even Ngotho is eventually driven to violence, when on a sudden impulse he attacks Jacobo at a strike for higher wages for native agricultural labourers. “The something that had urged him to fight against Jacobo certaintly had no logic,” (75) Ngotho reflects afterwards, marking this pious character’s sudden violence as an intriguing moment at which Ngũgĩ seems to contend with the merits of the psychic and self-enfranchising possibilities of violence. Ngotho’s ambiguous “something” suggests a response of both emotive catharsis and long-simmering resistance, similar to what the celebrated anticolonial thinker Frantz Fanon identifies as “the intuition of the colonised masses that their liberation must, and can only, be achieved by force” (Wretched of the Earth, 57). Weep Not, Child, however, questions the benefits of violent resistance for its unforeseen later effects on decolonisation through Ngotho’s youngest son, Njoroge. Torn between his extreme faith in colonial education and empathy with his family’s strife, Njoroge witnesses the detrimental effects of (anti)colonial violence: Ngotho, unemployed, diminishes in his function as patriarch of the family, and Boro has largely disappeared to leave the family exposed to suspicion. Ngũgĩ does not pronounce judgment on the Mau Mau and their actions. Nonetheless, a sense of foreboding with regards to what could turn out to be mistakes in retrospect is palpable. Indeed, the novel ends in feelings of arrested development, hopelessness and inadequacy, subverting the typical bildungsroman arc as the despairing Njoroge fails at his suicide attempt. Despite cutting short the illusions fostered by Njoroge’s colonial education, the destructive effects of this violence on himself and his family results in a novel that is reluctant to concede that violence is the sole means of achieving subjecthood. Ngũgĩ’s treatment of anticolonial nationalism acknowledges how violence can be justified in some contexts of liberation struggle, but also that national becoming must move beyond mimicking the antagonism of colonialism. If the work of “decolonising the mind” is yet to come, Weep Not, Child‘s irresolution warns that this work is too complex to be achieved by a dialectic of violence alone. 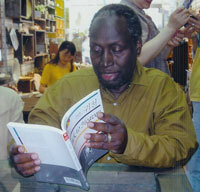 Ngugi’s early works are often accused of didacticism and incendiary rhetoric: James Ogude, for instance, sees in them “a broad binary opposition between forces of oppression and resistance, sometimes at the cost of character development (Ngũgĩ‘s Novels and African History, 157), while uncompromising summaries such as M.S.C. Okolo’s are problematic: “Ngũgĩ’s works have a clear-cut anti-imperialist consciousness, anchored in Marxist ideology, which accepts revolutionary violence as entirely justified, and socialism as the ideological guide for the resolution of Africa’s problems (M. S. C. Okolo, African Literature as Political Philosophy, 123). As Weep Not, Child’s dynamic irresolution of subject and nationhood reveals, Ngugi’s post-independence vision is more complex and open-ended. It implies that independence marks only the beginning of the birthing-pains of a nation; decolonisation will not be completed without ongoing transformation, consolidation and reimagining at an individual and collective level. Literature and politics are undoubtedly intertwined in Ngũgĩ’s works, often manifesting through a Marxist aesthetics and a strong critique of neocolonialism. As early as Weep Not, Child, however, there is greater room in Ngũgĩ’s anticolonial vision for nuanced questions of nation – and subjecthood. His collection of polemical essays, Homecoming (1972), shows awareness of the potential forms imperialism may take after independence, as well as the stagnant future of certain essentialisms: “To break from the tribe to a wider concept of human association is to be progressive […] Nationalism, by breaking some tribal shells, will be a help. But nationalism should not in turn become another shackle” (Homecoming, 24). Ngũgĩ mobilises this thought in his fiction both as a strategy of recovering the lived experience of the nation in anticolonial struggle, and as a nationalist counter-discourse to past colonial representations. As such, it is tasked not only with restoring the nation into the realm of knowledge and experience, but also with consolidating an idea of liberational potential. Ngũgĩ’s first novel is one of the many publications of this period that shows there are current and relevant questions to be recuperated from such works. Critically productive and probing treatments of decolonization can be found in works ranging from Senegalese director Ousmane Sembène’s first film Borom Sarret (1963) to Ghanaian writer Ayi Kweh Armah’s The Beautyful Ones Are Not Yet Born (1968). Although dark in conclusion, Weep Not, Child, is one such restless search for a “double vision” – both aware of potential pitfalls yet hopeful about the empowering effects of constructing a coherent nation and identity to inhabit. If this novel sustains its value and merits our reconsideration half a century on, it is in demonstrating how such options still make us feel dissatisfied. Read alongside seminal texts such as Chinua Achebe’s Arrow of God (1964) – which was discussed and celebrated by the Institute for English Studies from the 24th–25th October in Senate House, London – Weep Not, Child enables the reader to re-live this historic moment of irresolution and restlessness, reminding us to continue interrogating the complex legacy left by decolonisation. 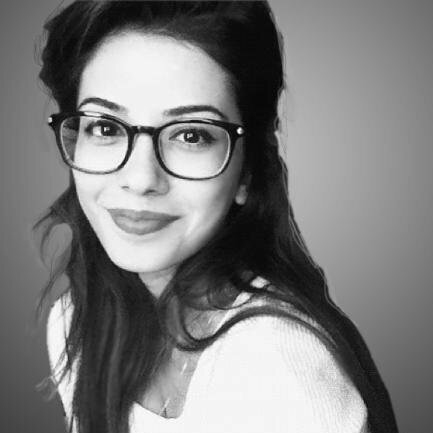 Sarah Jilani is a recent graduate of the Master of Studies in English (1900-Present) from the University of Oxford, and a BA (Hons) English from the University of York. Her primary research interests are anticolonial and resistance film and literature within the contexts of Indian and African independence periods. Her research has been published in Senses of Cinema (68, 2013) and Life Writing (11:4, 2014), with forthcoming publications from Postgraduate English (29, 2014) and Literature/Film Quarterly (43:2, 2015). Ngugi’s ‘Weep not Child’ has really unveiled the dehumanisation of Africans by their compatriots. It shows that it is uncommon to see people humiliating their fellows for their selfish interests. Ngugi through ‘Weep not Child’ has satirized Africans’ voracity when it comes to wealth acquisition.